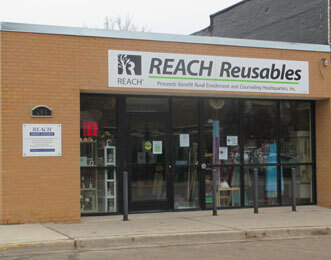 REACH Reusables Secondhand Store is conveniently located in Hawley, MN. In addition to providing vouchers to clients for basic necessities, REACH Reusables provides the general public an affordable place to shop. The store has many volunteer opportunities available and accepts donations of new or gently used items during store hours. Proceeds from REACH Reusables help fund REACH programs and services.